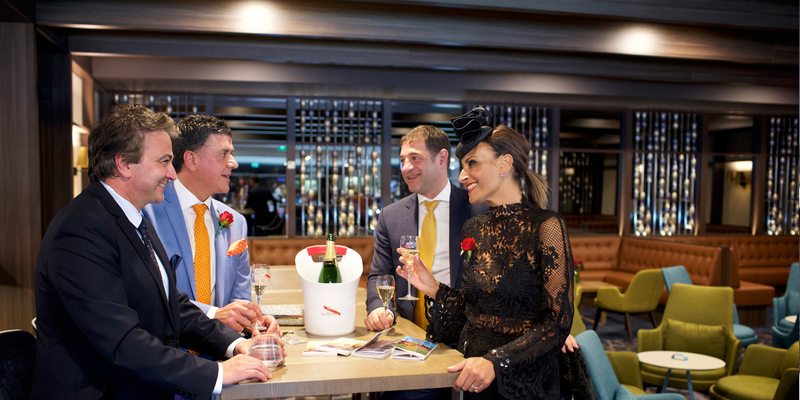 Elegance and excitement have always gone hand in hand in the Terrace Restaurant. 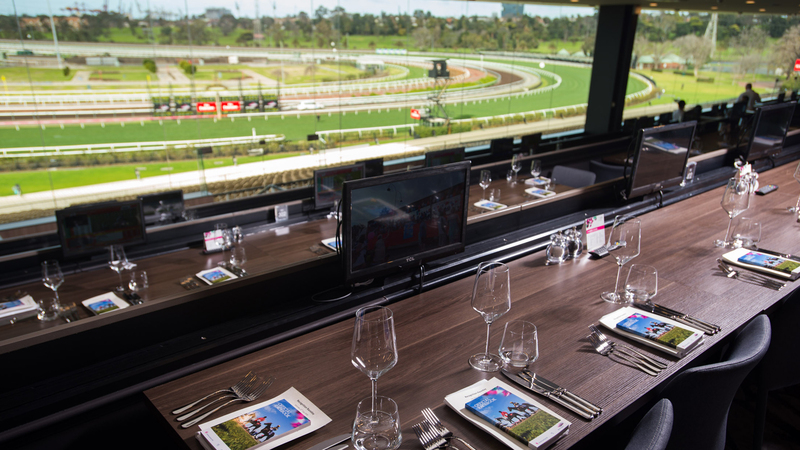 One of the most popular hospitality packages on offer, every table in the Terrace Restaurant's six-elevated tiers affords you uninterrupted views all the Winning Post and all the racing excitement down below, along with picture-perfect views of the Melbourne skyline. 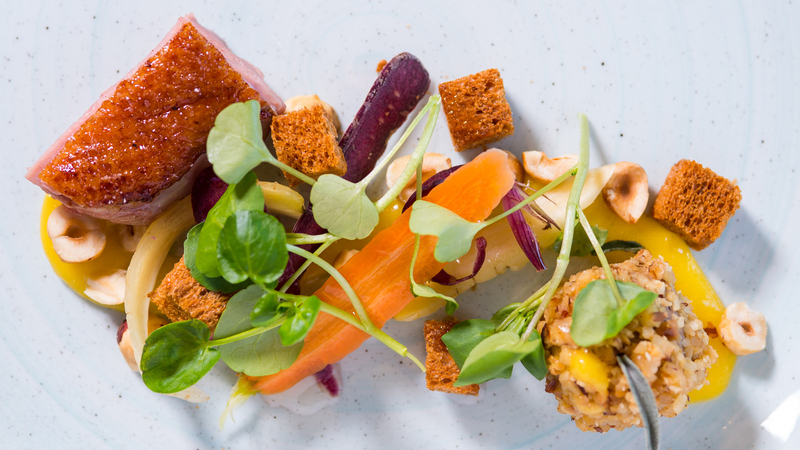 With two options to choose from, the Seven Course Degustation and the Cocktail Package, there is something for everyone in the Terrace Restaurant. 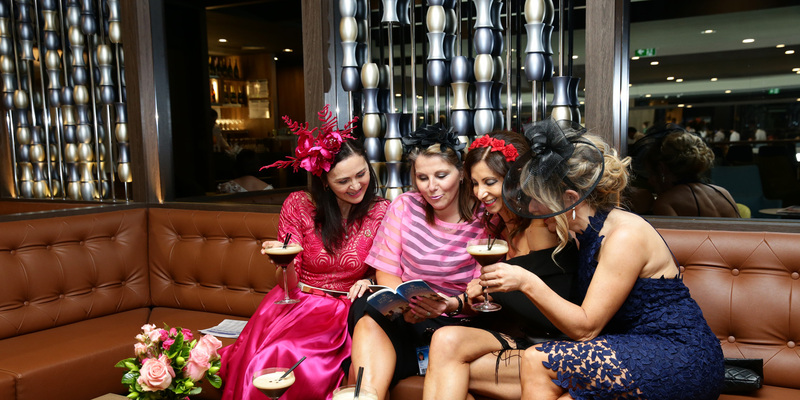 Bookings for the Terrace Restaurant can easily be made by selecting your preferred raceday and package above then signing into your online account and following the prompts. Special pricing applies for group of 20 or more. Please call VRC Customer Service on 1300 727 575 for more information. The Terrace Restaurant is located inside the Hill Stand. View the Terrace Restaurant location map (PDF) for more details. Corporate dress regulations apply in the Terrace Restaurant. For more information on what to wear, click here.